The corner roller allows 5" polymer rail to make up to a 90 degree turn on the inside of a post. The corner roller allows 5" polymer rail to make up to a 90 degree turn on the inside of a post. 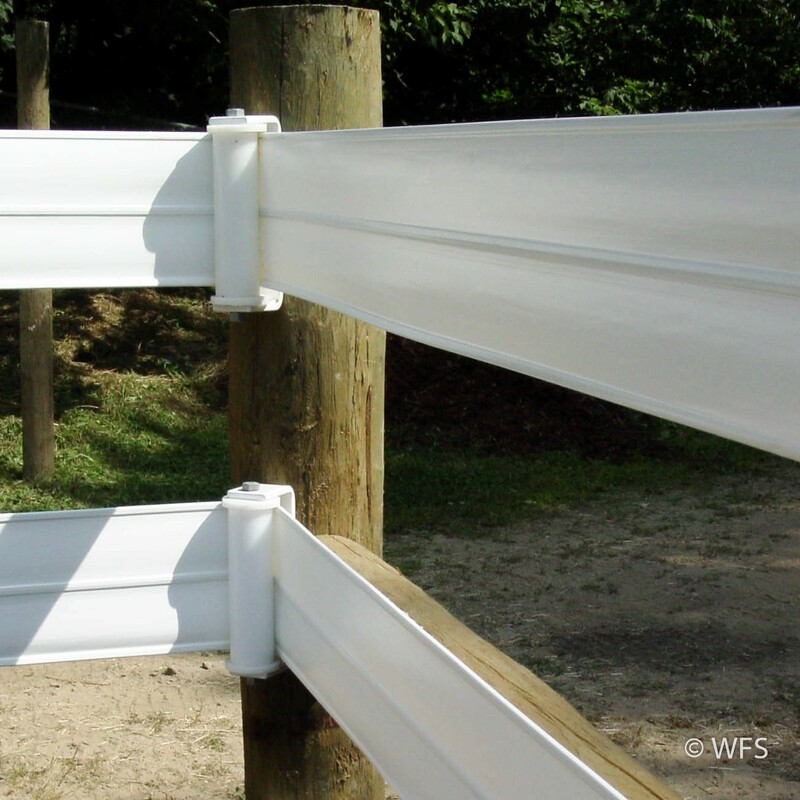 When there is impact to the fence, the roller allows the rail to absorb it smoothly and evenly over a greater distance. This corner roller also exposes less of the corner bracing and lessens the chance of cribbing. Available in white. Brown and black by special order only.